NEPTUNE – How can your church improve its spiritual tone? According to Betty Quackenboss, Rev. Erica Munoz and a team from Aldersgate UMC, the answer is by helping create an environment more conducive to going deeper in faith and by infusing a more intensely expressive spirituality centered on Jesus. “We can improve our church’s spiritual tone by testifying through word and deed that Jesus is alive in our lives and our churches,” said Munoz, who along with her church team and Quackenboss will be facilitating a track entitled “A Closer Walk” at the 2018 Laity Leadership Academy on October 6 at the Mission and Resource Center in Neptune. 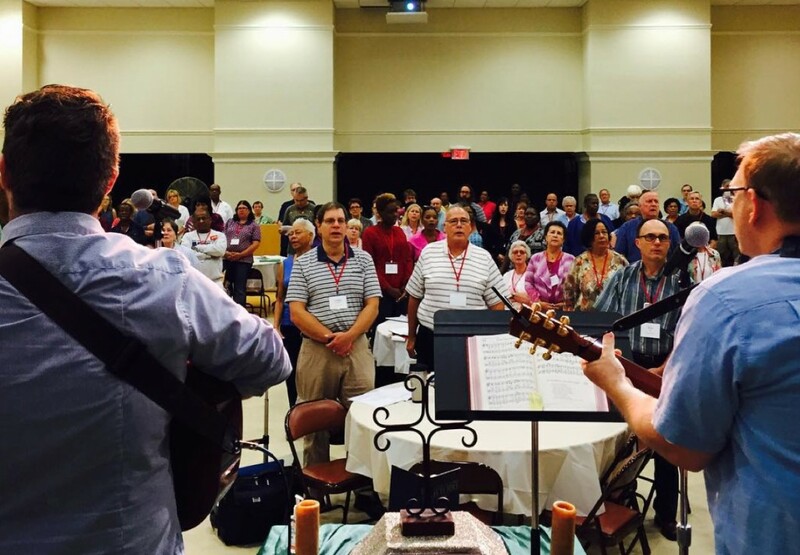 The interactive workshop will engage participants to improve their church’s spiritual tone by using the small group model, looking at specific tools and “means of grace” to increase faith commitment, examining ways to engage people with the Bible as a transformational tool and expanding prayer time. Helen Hunter and Arthur Harrell, who both have healthcare backgrounds, will be returning this year to facilitate ”Vital Ministries with Older Adults” due to the amount of congregants in GNJ who are aging and have family members responsible for taking care of them. Their workshop session will provide an overview of the aging process, including physical, mental, and social changes. Participants will learn strategies in the support for elderly parishioners and families. Churches are encouraged to send a team of congregational leaders to develop an action plan to implement a new ministry in their church. Attendees will be able to apply for seed grants to enact these ministries in their churches. Certified Lay Servants who successfully complete the Laity Leadership Academy and implement the action plans will receive re-certification recognition. Registration is $50 and the deadline to sign up is September 7. Click here to sign up today.